Dry eye syndrome is a multi-factorial disease of the surface of the due to a diminished or abnormal tear film. It may affect more than 40 million Americans. Many dry eye patients go undiagnosed until the disease has progressed significantly. Increased osmolarity and salt levels are major components of dry eye syndrome. It causes more than a 5 billion loss in productivity in the American workforce. 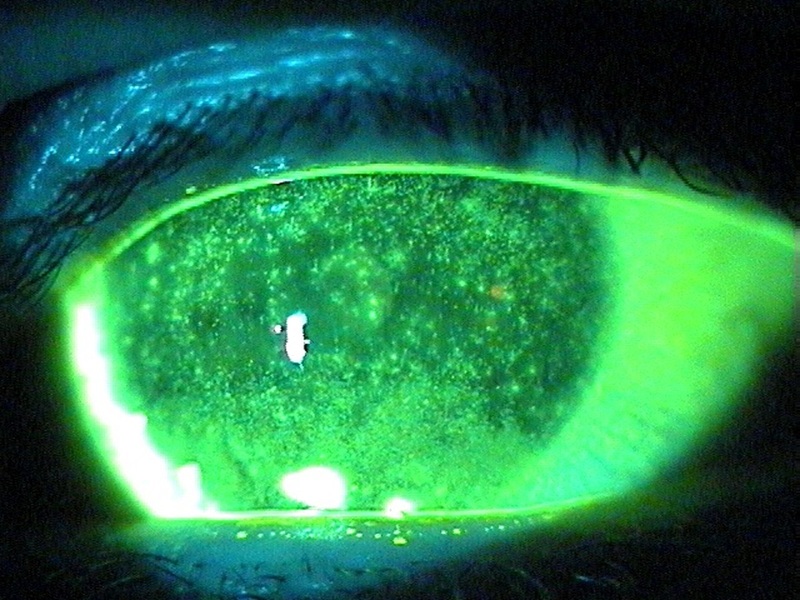 How to Diagnose Dry Eyes? MMP or matrix metalloproteinases are proteolytic enzymes that are produced stressed or sick cells on the surface of the eye. MMP-9 is a nonspecific inflammatory marker that has been shown to be elevated in patients with dry eye syndrome. Being able to diagnose dry eyes by testing for increased levels of MMP-9 can be very useful. It also can be used to monitor the effectiveness of treatment. FDA has Approved Testing for MMP-9 by Rapid Pathogen Screening Inc.
RPS has developed a procedure for testing MMP-9 called InflammaDry®. 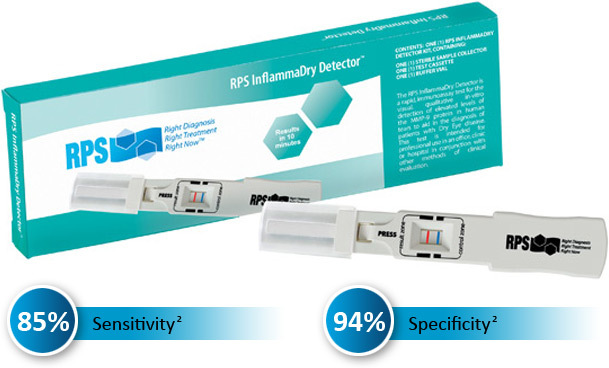 The RPS Inflammatory Detector utilizes direct sampling micro-filtration technology. The presence of MMP-9 in the tear film may be an indicator that treatment with Restasis, corticosteroids, and/or doxycycline may be beneficial. Treatment with these modalities should lower the MMP-9 levels. This can be used to monitor the treatment to see if it is working and if the patient is compliant with the treatment. The InflammaDry test is easy to perform. A small sample of the tear film is taken and analyzed. The process takes about ten minutes to complete. Dry eye syndrome is one of the most common eye diseases. Testing for MMP-9 levels will improve the way eye doctors diagnose and treat dry eye syndrome. Symptoms of dry eye syndrome do not always match the severity of the disease. If the dry eye disease gets severe, it can be difficult to treat. If you are having symptoms such as red eyes, irritated eyes, itchy eyes, grittiness, foreign body sensation, tearing, intermittent blurred vision, and/or scratchy eyes, see you eye doctor for diagnosis.